A gift to student scholarships makes it possible for Vanguard to provide education to thousands of students. Strengthening Vanguard’s scholarship program gives students a financial advantage that allows them to fully employ the benefits of their education. Vanguard University is proud of the ongoing support from regional and national corporations, as well as foundations that invest in the life of the University. Corporate sponsors and foundations serve as strategic partners that help Vanguard to fulfill its mission and reach new academic heights. Shaping students' early experiences though various opportunities that equip them for real world success. 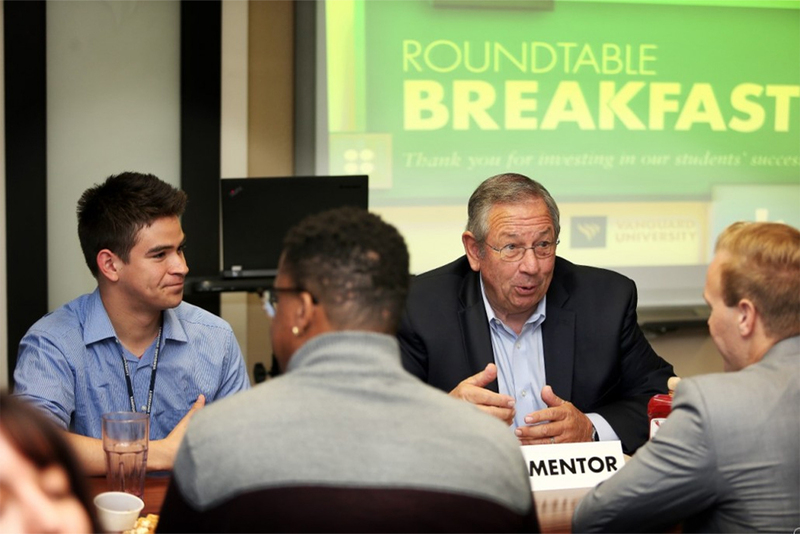 There are several opportunities to sponsor Vanguard University events throughout the year. Whether it is the illustrious Larson Lectureship, celebratory Christmas Fantasia, annual 5k run, or any of our 13 NAIA sports, Vanguard events provide a unique opportunity to reach a dynamic and engaged audience. For information on planned giving, please email justin.mcintee@vanguard.edu.